Twin Creeks Underground expansion project located in Nevada. Photo courtesy of Newmont Gold. 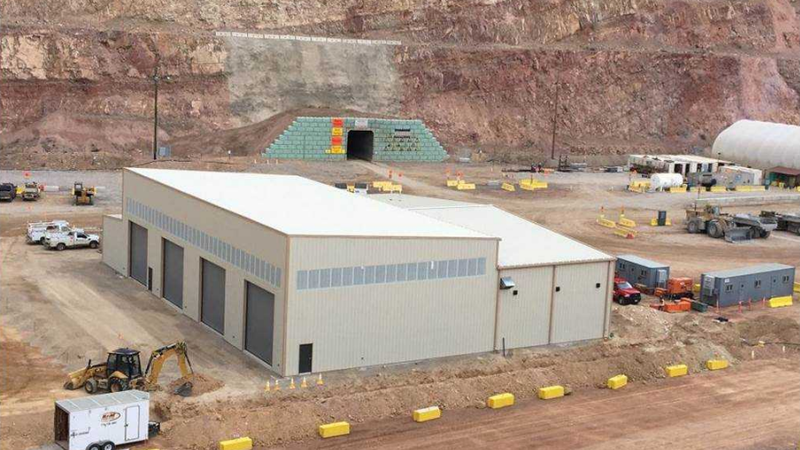 Newmont Mining Corporation (NYSE: NEM) achieved commercial production at its Twin Creeks Underground expansion project located in Nevada. The company says that Twin Creeks Underground mine will add between 30,000 and 40,000 ounces of gold production per year at all-in sustaining costs of between $650 and $750 per ounce for its first five years of production. This new ore will also allow Newmont to process stockpiled ore that had previously been classified as waste and extend processing life to 2030. The project was completed on schedule for $42 million, slightly below guidance of between $45 and $55 million. "The expansion extends profitable production and improves recoveries at Twin Creeks, and serves as a platform to further explore the deposit, which remains open along strike and at depth," said Gary Goldberg, President and Chief Executive Officer. "This project marks the sixth that Newmont has completed on or ahead of schedule and at or below budget over the last five years, and generates an internal rate of return of about 20 percent." The Twin Underground mine is mechanized, featuring remotely-operated loaders to improve safety and efficiency. Twin Underground ore will also be blended with ore from Turquoise Ridge. In early 2018, Newmont and Barrick Gold Corporation approved the Turquoise Ridge Mine Optimization project, which involves sinking a production shaft to access the richest part of the deposit. The new shaft is expected to increase ventilation capacity and lower unit costs by more than 20 percent, while increasing ore production rates to at least 1.1 million tons per annum when it comes on line in 2022.